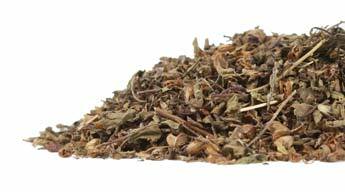 Add Tulsi to your Favourite Herbs list. Herbosophy's Tulsi (Holy Basil) is from pure Ocimum tenuiflorum Leaf and contains no fillers, preservatives or additives and is freshly encapsulated for you at order or packaged as loose powder: the choice is yours. Holy Basil is traditionally considered by Herbalists to be dry and warming and has been a popular herb in the Western Tradition for culinary, cosmetic and health use. My family and I love Tusli! So far for us, the best herb to calm and nourish the adrenals. We take during a stressful day or at night in tea form for a deep rested sleep. My favourite by far. Great quality, thankyou.